Are you developing a medical device? Are you developing a medical device? And are you certain about that? It might sound like a crazy question. If you’ve been living and breathing a product for months on end, surely you know what it is? But the fact is many developers get caught out on this one. And if you erroneously believe that the piece of wearable tech you’re working on is a ‘medical device’ when it isn’t, you might be wasting valuable time worrying about clinical trials and notified bodies when you don’t have to. At the same time, if you believe you’re ‘just working on an app’, and it turns out it is likely to be classified as a medical device, then it could mean you’ll need more time, budget and specialist support than you ever imagined to bring this product to market. So what is a medical device? Devices are then further classified to reflect the level of risk that non-compliance might pose to end users. 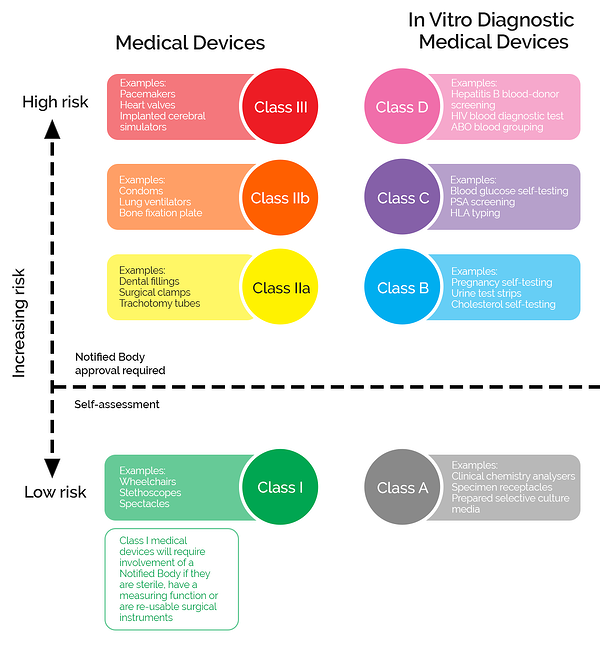 The regulatory burdens for the development of products in each classification are different, ranging from relatively light touch self-certification processes (for Class 1 devices), to providing fully evidenced clinical investigation documentation and the inspection by notified bodies to ensure compliance of design and manufacture (Class 2 and 3). Many apps and pieces of stand-alone software are, according to these criteria, classified as medical devices. These are apps which gather patient's data (such as diet, heartbeat, or blood glucose levels) and then analyse that data to make a diagnosis, prescribe a medicine, or recommend treatment. The MHRA has helpfully published guidelines on determining whether your app or software is a medical device or not. It illustrates just some of the grey areas in the new technology that could easily push you from one regulatory category to another. 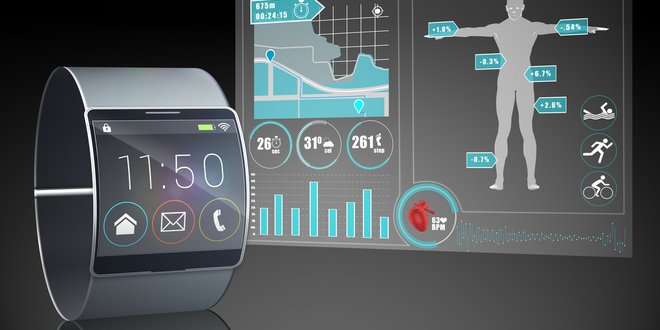 Assessing whether you are developing a medical device and then deciding what kind of device it is, therefore, is key to determining potential time to market, development budget and what kind of compliance checks you will need to prepare for. This is all key to obtaining the CE marking that allows you to market the product in the EU. Central to the approval of Class 2 and 3 medical devices, though, is your approach to Quality and Document Management, which will be subject to auditing by relevant bodies. This audit will be focused on the adherence to standards embodied in ISO 13485 and others, and how they ensure risk mitigation and consistency in the quality of your output. When it comes to document management and how it relates to the delivery of quality within your organisation, ISO 13485 is demanding. It seeks evidence for “risk based thinking’ and proactive quality management in the way your operations are run and documented. It requires you to show how your quality processes are adhered to and subject to continual review and optimisation at every level of your organisation. It requires the entire flow, scope and dependencies of your QMS to be recorded in one place and made accessible to your workforce at all times. Unsurprisingly, its primary focus is on ensuring the safe design, documentation and delivery of potentially lethal products. It can, undoubtedly, be a daunting process setting up a Quality Management System that will answer the rigorous requirements of the MHRA and ISO 13485. The standards they insist on are, for good reason, incredibly high. But there are huge benefits for companies embracing these standards early on in their development processes and not just through the streamlining of business structures and its attendant efficiencies. With rapidly evolving technologies and the agile, experimental mindset of companies working in this area, there is always potential for ideas and products to grow and evolve in unexpected ways. What starts out as a non-medical device or app, could easily start suggesting medical applications to exploit and monetise in the future. Likewise, the mindset of modern apps and software developers, caught up in the onward rush of ‘fail fast’ development practice, may not even consider themselves medical device developers until they realise, too late, they can’t bring their product to market without the right approvals. In both cases, developers may find themselves rapidly trying to backsolve compliance issues, rather than concentrating on putting the final touches to their grand idea and getting on with marketing it. The good news is that a modern, lightweight QMS (also know as Graphical Business Management Systems) are designed to help take the strain of a full range of these regulatory requirements in a way that can fit the budget and agile working practices of growing companies. They can help you develop new and cutting edge technology, while keeping you focused on process optimisation, risk management and the control of key pieces of documentation. They can take into account changing and expanding requirements, allowing you to scale up and down as and when required. A QMS implemented through a process driven intranet, does not require the wholesale installation of new software or apps, but it can provide a lightweight digital framework that contains and controls all your documentation. A modern QMS can quickly answer the needs of a small business, allowing you to operate efficiently while providing a system robust enough to meet regulatory demands.